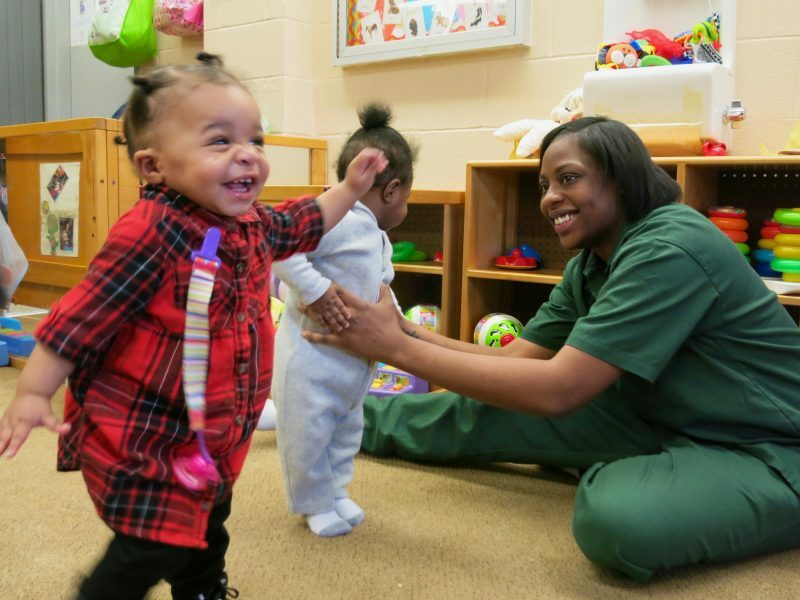 Despite record rates of incarcerated mothers, prison nursery programs are rejecting applicants and not for reasons of space. When Cassidy Green learned that she was pregnant, she and her husband didn’t discuss cribs, co-sleeping, or even diapers. Instead, they worried about more basic and immediate challenges, like whether Green would be able to spend more than a few days with her baby. Green was in prison, 9 years into a 15-year prison sentence at the Bedford Hills Correctional Facility, New York’s maximum-security women’s prison. She had gotten pregnant on a recent visit through the prison’s Family Reunion Program, which allows incarcerated people to spend a night or two with their family members in a trailer with a more home-like setting than a prison visiting room. The couple agreed that Green’s husband, who has a disability and uses a wheelchair, would have a hard time caring for a newborn by himself. Plus, Green wanted to breastfeed her baby. They decided that she would keep the child with her for the first year. This was only an option because Bedford has a 27-bed prison nursery that allows mothers and their babies to stay together for the first 12 months, or up to 18 months if the mother will be paroled by then. When Green applied, it was 2012 and the nursery wasn’t full. She was in one of the prison’s honor units, and immediately filled out the two-page application form and began dreaming of that first year of bonding. Her baby, due in January, would still be too young to notice much by Mother’s Day, in May, but they could at least spend the day together. By Thanksgiving, the baby would be able to eat whatever feast she and the other women could whip up from the canned food the prison provided. By Christmas, she would be old enough to tear open her presents. 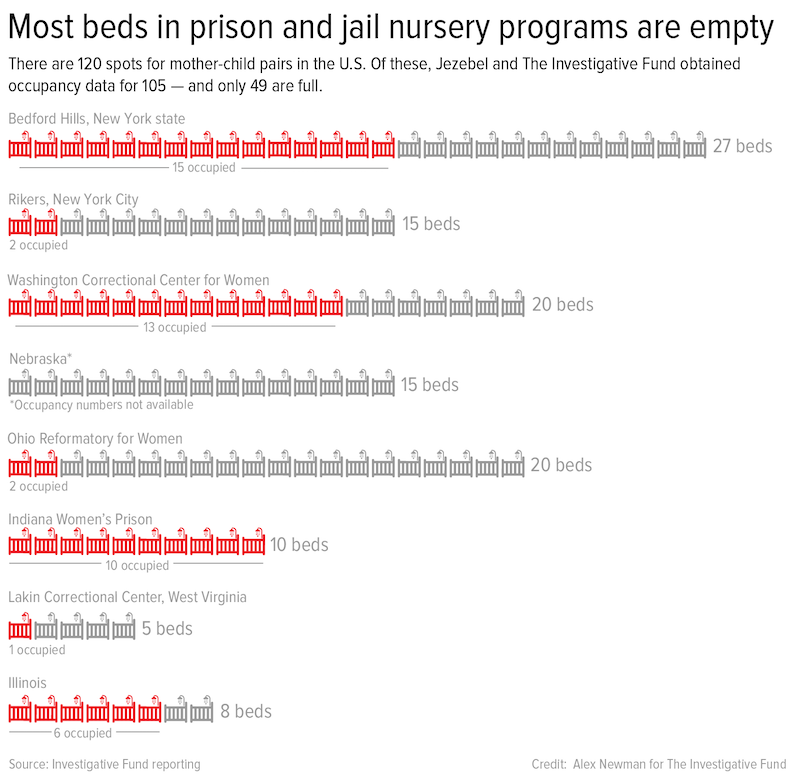 Only seven states have prison nursery programs that allow mothers who fit certain criteria to keep their babies for the child’s first 12 to 30 months. Between three and five percent of women are pregnant when they first enter jail or prison, meaning that thousands are pregnant behind bars each year. Women whose prison nursery applications are denied are in danger of losing parental rights forever. The number of women sentenced to time in state and federal prisons has skyrocketed and more than half of incarcerated women are mothers to minor children. Three months later, when she was just beginning to show, Green learned that she had been rejected from the nursery program. She quickly appealed, writing a letter to the prison superintendent. This time the response came within 24 hours. The six-line memo ended: “Based on your offense, you are not eligible for Nursery placement.” Those 11 words shattered Green’s hopes for her daughter. “I was downright pissed off,” she told Jezebel. It didn’t matter that Green had spent the past five years at Bedford out of trouble, or that her last rule violation, in 2007, was for receiving a back rub in the prison yard. (Incarcerated people are not allowed to touch each other.) In 2009, Green had married a man she’d known since she was a teenager and had been approved to participate in the Family Reunion Program—a privilege she would not have been granted had she been considered a troublemaker. To qualify for the program, the person must be participating in her or his required prison programs and not have recently violated prison rules. In other words, the Family Reunion Program, also known as a trailer visit, is only for those with exemplary prison records. None of that seemed to matter. The only thing that did was the crime for which she’d been convicted. When Green was a 21-year-old in suburban Bloomfield, New York, she was arrested as part of a murder-for-hire plot. It was July 2003, and her 22-year-old boyfriend asked her to drive him to the home of his stepsister. As Green waited in the car, her boyfriend used her gun to fatally shoot his own sister, whom he’d been hired to kill by the woman’s husband. When he came out, “covered in blood,” said Green, she began driving away. “I got on the expressway the wrong way,” she recalled. “I was stuck on stupid. All I cared about was getting home and him leaving.” Green was convicted of first-degree manslaughter and sentenced to 15 years in prison. The boyfriend and his former brother-in-law got life. The language of the second denial seemed implacable. And within a day of receiving it, she was abruptly transferred to Taconic Correctional Facility, the medium-security prison across the street, along with three other women in her prison prenatal class who had also been rejected from the nursery. Prison officials are not obligated to tell people why they are being transferred, and Green was never given a reason. She believes the move, within 48 hours of the first denial, was because she had appealed her denial to the superintendent. Karen Thomas, who worked as a law librarian at Taconic for six years, agrees, telling Jezebel, “What they used to do was, if they denied you, they shipped you to Taconic and they figured that was the end of you. But they didn’t figure on me.” In person, Thomas is modest but passionate about fighting for the rights of others—as a law librarian who had been imprisoned since 1982, she knew she was the last chance for women facing closed doors and crushed hopes. During her time at the Taconic law library, she devoted hours upon hours to helping hundreds of women file appeals and challenging decisions from parole denials to nursery denials using Article 78, a New York State-specific legal request for a judge to review an administrative decision, including decisions made by prison officials. During her six years as Taconic’s law librarian, Karen Thomas helped approximately 50 women appeal their denials to the prison nursery. Thomas was released from prison in 2017. Thomas would look up the prison directives and, for nursery denials, the state law governing incarcerated mothers and babies. She asked the mothers-to-be questions about not only their crimes, but also what they had accomplished since coming to prison. She then helped craft their arguments to aid judges in understanding why, even if they were in prison for violent and irreparable harm, these women no longer posed a threat to anyone’s safety, and that they and their babies deserved the chance to spend their first year together. Thomas estimates that, during her six years as law librarian, she helped 50 pregnant women file nursery appeals. Of those, roughly 40 were rejected. Only eight or 10 of those went on to file under Article 78, with Thomas’s help. “They figured that was the end of you. But they didn't figure on me." Green didn’t take her rejection lying down. “I didn’t fight for my appeals, I didn’t fight for clemency, but I’ll be damned if I wasn’t going to fight for my kid,” she said in a phone interview. She hit Taconic’s law library and together, she and Thomas filed an Article 78, with the pro-bono help of an attorney at a private law firm. Shortly after filing, Green won a temporary order, and the week after giving birth, she and her newborn daughter, Hermione, were temporarily allowed into Bedford’s nursery. Three months later, the judge ruled in her favor and ordered prison officials to admit mother and baby into the nursery for the full year. Left: Cassidy and her daughter, Hermione; Right: Hermione poses for a picture. As one of a dwindling cohort of women who have been accepted into a prison nursery in the United States, Green was exceptionally lucky. Many women don’t know that this resource even exists, or are discouraged from applying by prison officials. In 2015, the Correctional Association of New York, a nonprofit prison monitoring agency, charged that “Bedford’s administration seems to be denying more and more women acceptance to the nursery.” In its report, the Correctional Association noted that, in 2010, 16 of 24 applicants (or 67 percent) were accepted. Had all 24 mothers been accepted, the nursery, which has a capacity of 27, would still have had three empty slots. The following year, the number of acceptances rose, but so did the number of applicants—and rejections. Of the 30 applicants, only 17 (or 57 percent) were accepted. In 2012, the year that Green applied, only 12 of 35 applicants (34 percent) were accepted. The rate of acceptance seems slightly better these days. According to the New York Department of Corrections and Community Supervision (DOCCS), 83 pregnant women entered the state’s prison system in 2017. DOCCS did not provide data on the number of women who applied, but did state that only 47 mothers were admitted that year. When Jezebel visited Bedford two and a half weeks before Mother’s Day 2018, only 15 mother-baby pairs were living in the unit. Like Bedford, it appears that other prison nursery programs are also rejecting applicants, and not for reasons of space. In New York City, only one of nine applicants for the 15-bed nursery on Rikers Island, the city’s island-jail complex, was admitted in 2016. The rate was slightly higher in 2017 when two of six applicants were admitted. In Ohio, where 116 pregnant women were sentenced to prison in 2016 alone, only two mothers currently live with their babies in the 20-bed nursery. In Nebraska, between 20 to 25 mothers-to-be apply for the 15-bed nursery each year; of those, 15 to 18 are accepted. At any given time, its nursery holds three mother-baby pairs. In Washington, 13 of the 20 beds and cribs are currently filled. Meanwhile, the number of women sentenced to time in state and federal prisons has skyrocketed, from 13,206 in 1980 to 111,422 in 2016, the latest available number. Add in the 102,300 women awaiting trial or serving short sentences in local jails and that’s more than 200,000 behind bars. 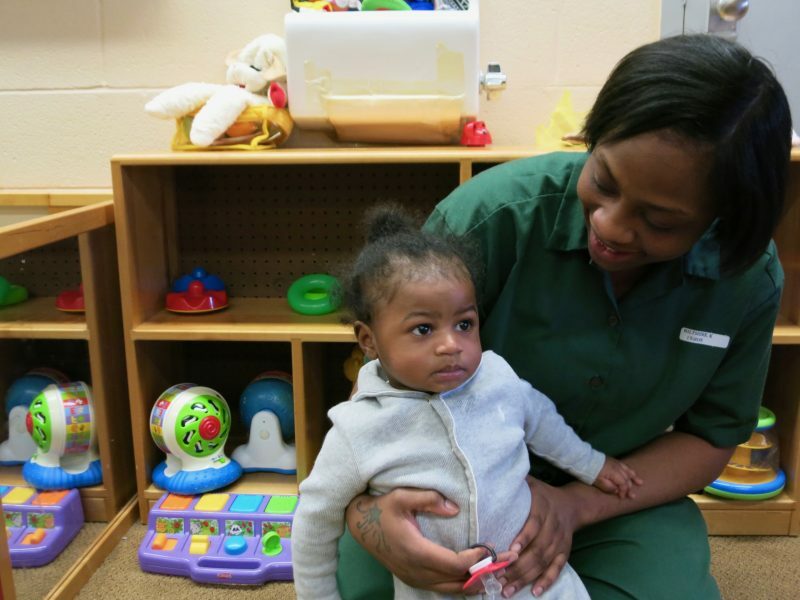 More than half of incarcerated women are mothers to minor children. 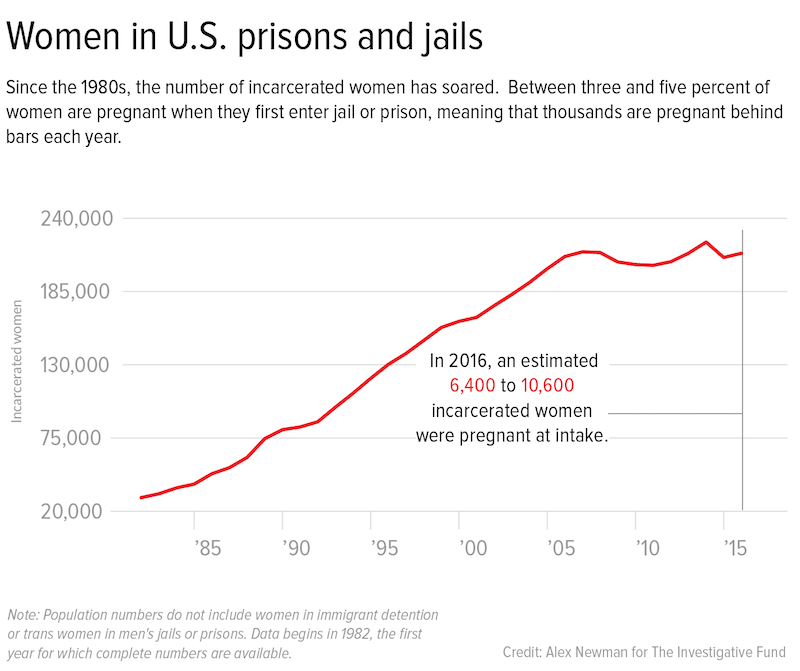 Between three and five percent of women are pregnant when they first enter jail or prison, meaning that thousands are pregnant behind bars each year. Pregnant women imprisoned in a state with a prison nursery can apply and hope to be admitted to a slot. Those in other states, as well as the women who are denied, are only permitted to spend two days with their newborns, four if they have C-sections. Then, their baby must go home to family or, in the absence of a family member to care for them, to foster care. While cobbling together child care may be a struggle or a source of financial stress for the rest of us, the fear of losing our children to the foster care system is a worry of another magnitude. To not be able to soothe an infant’s cries in the middle of the night, to not be present for their first smile, their first word, or their first steps is a severe blow for parents. Moreover, experts in child development say that this time is crucial for the child’s sense of security and well-being. 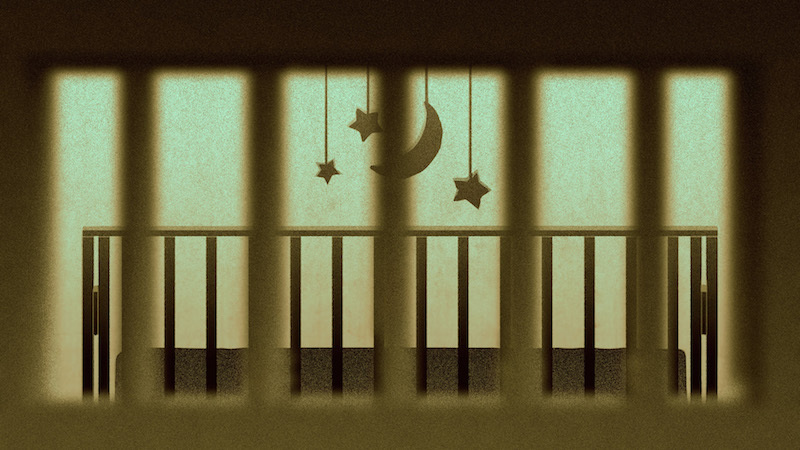 “The number of women sentenced to time in state and federal prisons has skyrocketed." The study concluded that “abrupt separation from a primary caregiver before 18 months of age has lifelong effects on a person’s ability to establish healthy relationships and interact in a positive way with the world.” The researchers also found that preschool-age children who had lived in the nursery with their mothers exhibited less anxiety and depression than those who had been separated from their mothers. In some cases, that abrupt separation comes with another blow. In 1997, Congress and then-President Clinton passed the federal Adoption and Safe Families Act. The act dictates that, if a child is in foster care for 15 of the past 22 months, state child welfare agencies must begin proceedings to permanently terminate parental rights. Losing an Article 78 not only has implications for the first year of the child’s life; it can also mean that the child disappears into the foster care system forever, regardless of how desperately the mother wants to keep the baby. In some states, such as New York and Washington, mothers-to-be can appeal the denial to the prison’s superintendent by writing a letter—as Green did—but that doesn’t mean that women know about this option, or how to go about doing so, let alone what to do if their appeal is denied. In New York, they can file an Article 78, but, as Thomas notes, it’s a time-consuming and laborious process, requiring the assistance of someone who knows the law. The dayroom at the prison nursery in Bedford Hills. Prison nurseries in other states seem to show a similar decline in admissions, but because Article 78 is unique to New York, it’s difficult to determine whether rates are declining across the board. Interviews with advocates who work with women in prison, as well as women who have been inside prison, suggest that this might be the case. A search of the Westchester County courthouse records turned up only 13 time Article 78 was used for filings between January 2008 and the end of March 2018. Of those, seven (including Green) were ultimately admitted; six were denied. Bedford’s nursery, which opened in 1901, is the nation’s oldest. Located behind a heavy metal door on the second floor, it is a separate section from the rest of the prison. 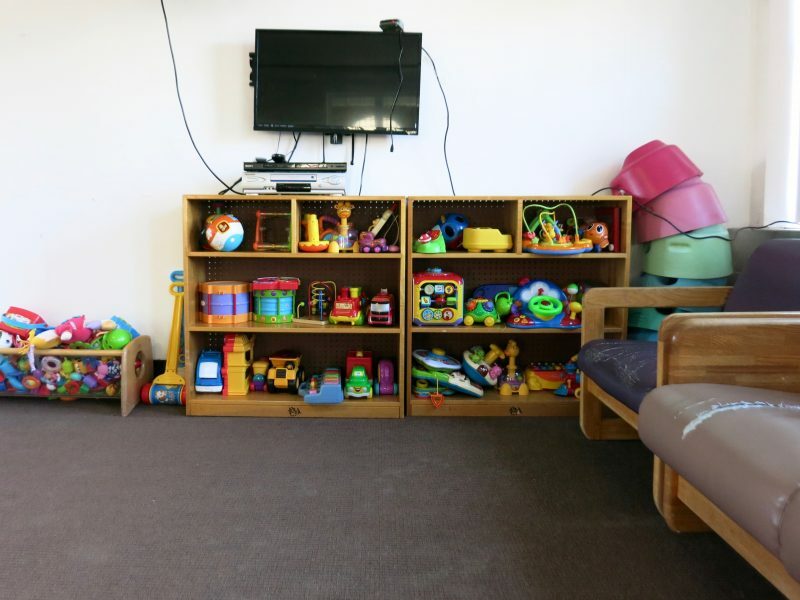 Inside the unit, the hallway is painted with cartoon animals, and the dayroom, where mothers and babies can hang out, watch TV, and play with toys, has large windows overlooking the barbed-wire fence surrounding the prison’s perimeter. Mothers remove their white prison-issued tennis shoes before entering the room; here, the older babies learn to crawl and walk on the dark gray carpet. The nursery can hold 27 mother-baby pairs. For the first four months, two mothers and their newborns live together in one room. After that, the mother is able to move to a single room with a twin bed, crib, and metal storage cabinet. Unlike the hallways, the walls are bare beige cinderblock and the floors a similar shade of linoleum. Mothers are not allowed to lie on the bed with their babies; if they are breastfeeding or holding their babies, they must sit upright with their feet firmly planted on the floor. Lying on the bed with their baby is grounds for removal—and means the baby is immediately sent out of the prison. “Mothers are not allowed to lie on the bed with their babies." The official criteria for admission to Bedford’s nursery seem simple and straightforward. The mother must be physically fit to care for her child, and her participation in the nursery “must be in the best interest of her child.” If she has other children, her relationship with them—including any disruptions to their relationship because of child welfare involvement—is also considered. Her participation in the prison’s rehabilitative programs, the length of her sentence, and the likelihood that the mother-child bond can be sustained after the baby leaves the nursery are also taken into account. The criteria include the warning that “particular crimes, such as arson, assault and child abuse are given great scrutiny,” but, unlike prison nurseries in five of the seven states, New York’s criteria (and Washington’s) do not automatically exclude mothers with violent convictions. Still, that’s not the way that most administrators have interpreted the conditions. The first person to decide on an application is the prison’s deputy superintendent (who declined to speak with Jezebel). 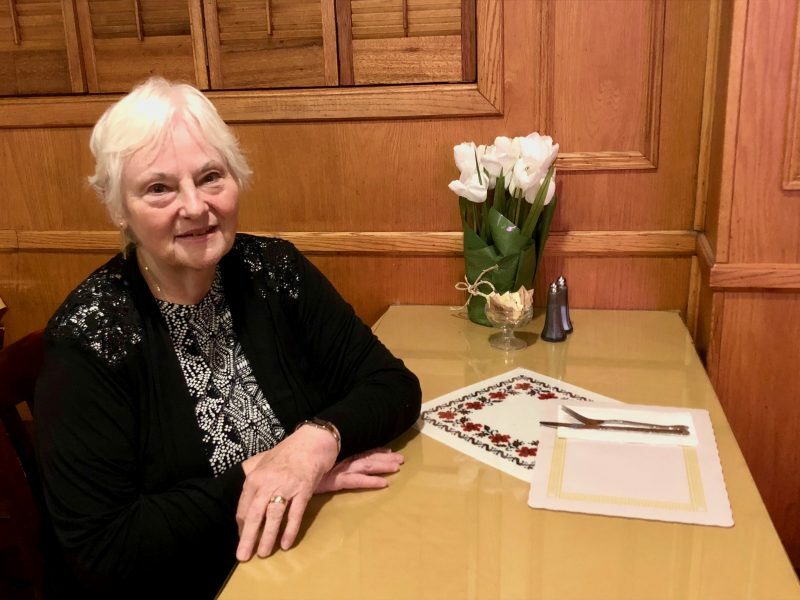 Reflecting on the appeals and Article 78 filings she helped with, Thomas recalls that Bedford’s nursery denials increased after the retirement of Elaine Lord, the prison’s superintendent from 1984 to 2004. Lord, she said, believed in the importance of mother-baby bonding and often allowed women serving long sentences for violent crimes into the nursery. The superintendents who came after, she surmises, were not as compassionate. Benefits aren’t limited to being present for a baby’s first milestones. In 2002, the Department of Corrections and Community Supervision released a three-year study tracking recidivism rates for women who had been in the nursery and women who had not. The rate of recidivism was 13 percent for mothers who had been in the nursery (which, at the time, included women convicted of violent crimes like manslaughter, robbery, and assault) compared to 26 percent for women in the general population. 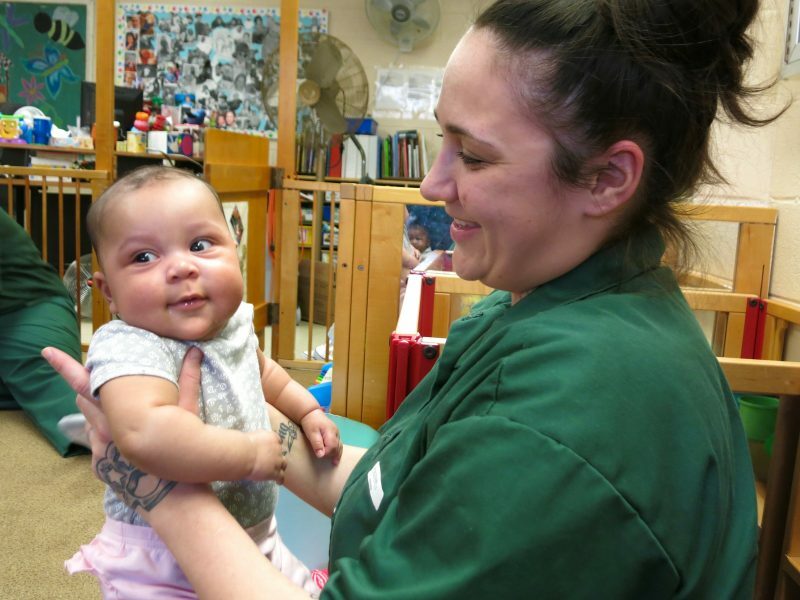 A 1999 study of the Nebraska nursery by Joseph Carlson, an associate professor at the University of Nebraska, found a recidivism rate of 16.8 percent of mothers in the nursery compared to 50 percent for women not in the program. Other research has suggested that maternal mental health improves and chances of substance-abuse relapses decrease when a mother is allowed to stay with her newborn in the nursery. In 1997, there was a fire in Christina Voight’s Syracuse apartment. To this day she maintains that the fire was accidental, but about six months later, detectives questioned the newly pregnant Voight, who had fled an abusive boyfriend and was seeking refuge in a domestic violence shelter. When she refused to tell them where her boyfriend, who they suspected of drug dealing, was, she was arrested and convicted of arson. When she got to Bedford, she immediately applied for the nursery. But within weeks of applying, she received a rejection, meaning her son was headed to foster care. “I was going to be a mommy for the first time. I just wanted my child,” she recounted years later. In the hospital after giving birth, Voight’s C-section became infected. It turned out to be a bit of twisted luck, allowing her to spend three weeks, instead of the typical four days, in the hospital with her son. “I got to be a mom for three weeks. I got to sing to him. I was able to see his toes, just be able to touch him and lay him on my chest like most moms. I was able to hold him.” Still, the separation loomed. “Every day was like a death sentence, knowing that this was going to end and he was going to go somewhere else.” The day before she was returned to the prison, he was sent to foster care. It would be months before she saw him again. “I was going to be a mommy for the first time. I just wanted my child." Shortly before her son turned 1, New York’s child welfare agency began proceedings to terminate Voight’s parental rights. But Voight fought back—and won. She reunited with her son after being released from prison in 2001. Today, she and her son, now 19, are extremely close, but that relationship could have easily been destroyed after Voight was rejected from the nursery. In Gig Harbor, Washington, that’s what happened to Sierra Watts and her son. The 27-year-old was eight months pregnant when she was arrested for her role as lookout during a home invasion. The local jail was unable to accommodate a pregnant woman, so she was sent to the Washington Corrections Center for Women (WCCW), the state’s main prison for women and home to the Residential Parenting Program, the prison’s 20-bed nursery, where mothers can stay with their babies for up to 30 months. Because she was technically a pretrial detainee rather than a convicted prisoner, Watts wasn’t told about the nursery by prison officials. “Pregnant women who go through the facility’s intake and reception process are informed of the residential parenting program,” explained Jeremy S. Barclay, communications director for Washington’s Department of Corrections, in an email to Jezebel. Twenty-four hours after the delivery, Watts’s son, nearly 7 pounds, with brown hair and brown eyes just like hers, was sent to foster care. Four months later, she pled guilty to conspiracy to commit burglary and robbery and was sentenced to 40 months in prison, ultimately serving less than 30. Tehri, age 10 months, began walking the previous month. Xaylen, age 7 months, is just learning to stand. 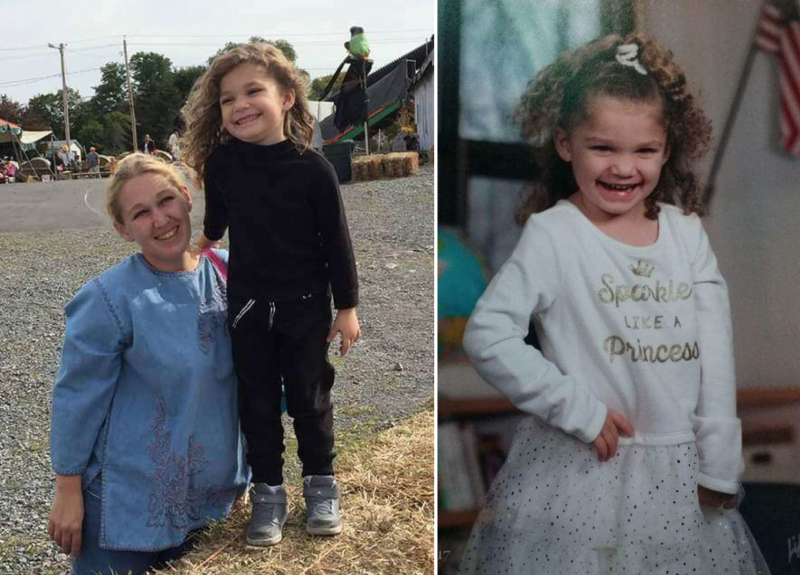 Had she been accepted to the nursery, she believes she might have been able to walk out of prison with her son, because nursery rules would have allowed her to keep him for her entire stay. Even if she had had to serve the full 40 months of her sentence, being admitted to the nursery would have meant the boy would have been placed in foster care for a shorter period of time, and they could have avoided termination proceedings altogether. “It was hard because that was the only time I was ever going to see him. I haven't seen him since." Jennifer Caggiano, age 27, was initially denied admission to Bedford’s nursery. She was admitted only after she filed an Article 78 in court. Her daughter Amoura is now five months old. Voight, who now works in criminal justice advocacy, agrees. Rather than creating more prison nurseries with strict criteria, she advocates that alternatives to incarceration be expanded while prison nursery criteria be changed so as not to automatically exclude mothers with violent charges. Hermione, Green’s daughter, left the nursery the day after her first birthday. Green was released the following year. There were growing pains at first as Hermione, then age 2, adjusted to her mother’s return to their two-bedroom apartment in Rochester, New York, in a neighborhood where gunshots are not uncommon. Still, Green is grateful for that first year together—and fiercely glad that she fought for it.